People will clap and cheer at an event that met their expectations, but no one will forget an event that made them feel magical and emotional when you know how to take your event to the next level. Events like that are etched in our memories; we remember them because they are full of love, joy, smiles, laughter, bliss and fun. No doubt, whether you are planning a big or small event, it requires effort; rallying round for the things you’d need to set up the event, setting up a committee to help with planning and execution and so forth, all to ensure that the event would be a successful one. 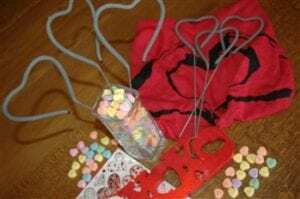 Well, if you are looking to add an extra bit of warmth, magic and to live behind a lasting sweet memory in the hearts of your guest, then you’re definitely reading the right article. 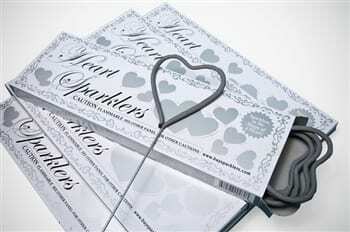 Sparklers are all the edge you need to make the difference in your event. Here are some of the ways you can use sparklers to take your event to the next level. What other way to make wedding send off more vibrant than releasing the fiery wedding sparkler in the air as the newlyweds wave their friends and family goodbye? 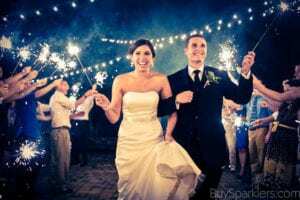 There is just something about sparklers that foster love in the air; we feel that all wedding should do this, but since most don’t, it will make your moment that much more magical. All work and no play will make everyone at your office a really dull person. Once in a while, there’s something to celebrate at work; a milestone attained, promotion and so on. A bottle of champagne, or any desired wine with a champagne bottle sparkler right on top of the bottle, would be super amazing. As the staff cheers on, the sparkler is lit and the fizzling light creates the most breathtaking moment. Sparklers also make the perfect topper for cakes! Finally, it’s time to let the cat out of the bag, to share this pleasant surprise with your family and friends; to let them know if the tiny bundle of joy kicking in your womb, is a boy or girl. You see, the things that make this kind of surprise exciting, is the drama, the suspense and the fun you’d be serving. Switch up your baby reveal party with a unique wand; a sparkler and at the peak of your reveal, let the beautiful sparkly lights ignite your smiles. Your birthday is a sweet reminder that you are moving forward with time, it’s a time to celebrate yourself, your mistakes, your success and how far you’ve come. It’s your day, one worth celebrating and rejoicing over. 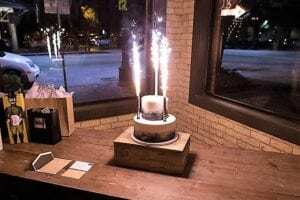 However instead of the traditional candles, put sparklers on your cake as you make your birthday wishes. 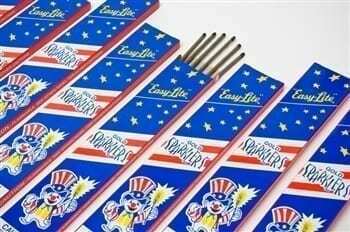 The sparklers for cakes are safe and do not pose any danger. There is absolutely nothing wrong with wanting to be extra once in a while. Be a VIP sometimes; order a bottle of your favorite wine, and ask for it to come with a bottle sparkler. For a moment, soak in all the beauty of the fiery sparkler and have the lavish moment you deserve. 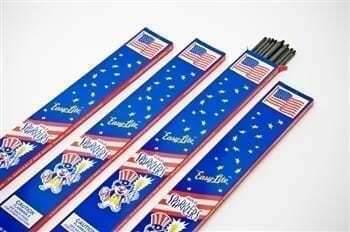 Sparklers never go out of style. 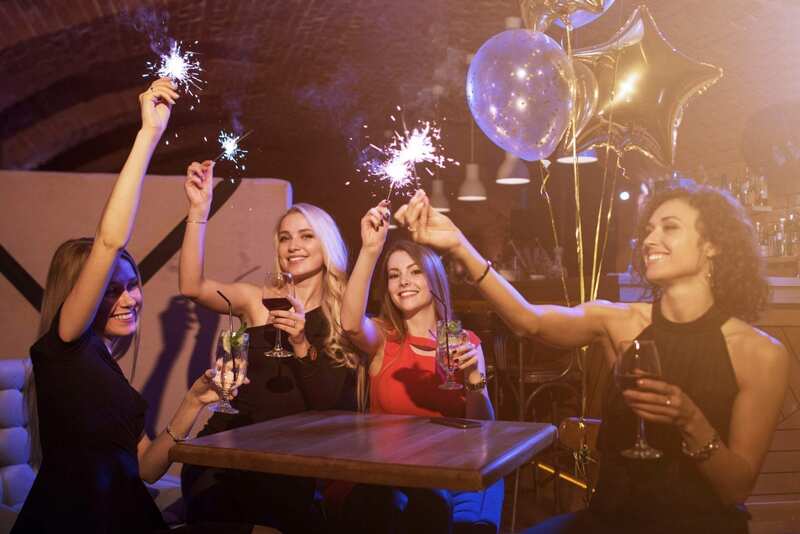 Year in, year out, they have served their fiery magic and have gladdened many hearts, which is why you should include sparklers in any event worth doing.